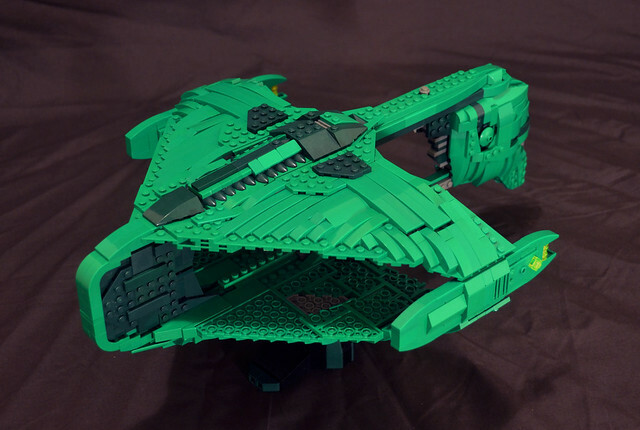 Decloaked and Delightful | Spaceship! Spaceship! Spaceship! 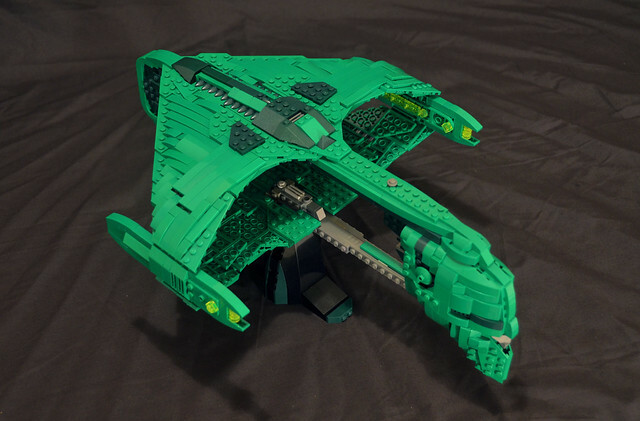 This is an incredible model, and Jon has really nailed the distinctive shape with the two huge wings encircling the warp nacelles and fronted by a “head” with a haughty roman aspect. He’s also made great use of dark green and grey accents to break up the expanse of green. Star Trek models are HARD, because they’re generally slender and delicate, and it looks like Jon’s got some incredible construction techniques in there so the model doesn’t just fall apart.